As part of our ongoing work with the School Council, a pupil questionnaire was given to all of our pupils in February 2018 to assess opinions about the school. The children were asked a number of questions about the school including what they liked most about school and what they might change. 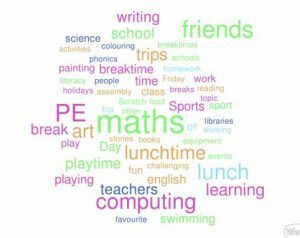 The children were asked about what makes them safe in school and how they felt at different times of the day. Here are the results of our questionnaire. 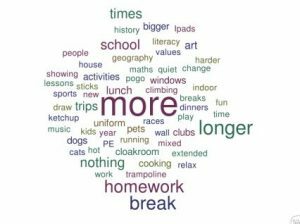 What do we like best at school? What do we want to change about school?